TONIGHT! 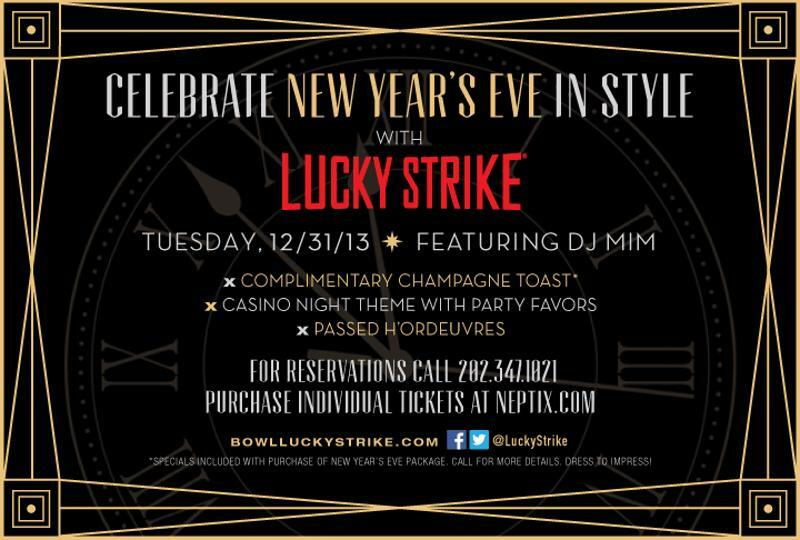 @DJMIMDC spins for #NYE at Lucky Strike DC (Gallery Place) 9p-1a! *Specials included with purchase of New Year’s Eve Package. Call for more details. Dress to impress! This entry was posted in DJ MIM and tagged Bowling, Casino Night, dj mim, DJMIMDC, Lucky Strike, Lucky Strike DC, Pool, Rock The Lanes, Vegas Style, washington dc by MIM Entertainment. Bookmark the permalink.